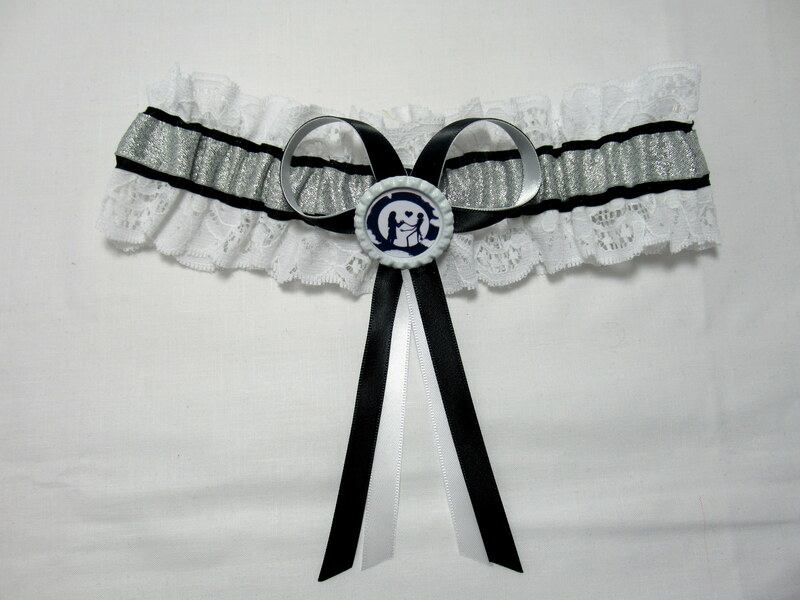 Beautiful white lace with black satin and silver berisford ribbon through the middle with black and white satin ribbon bow with white crown with jack and sally inside with glass top. 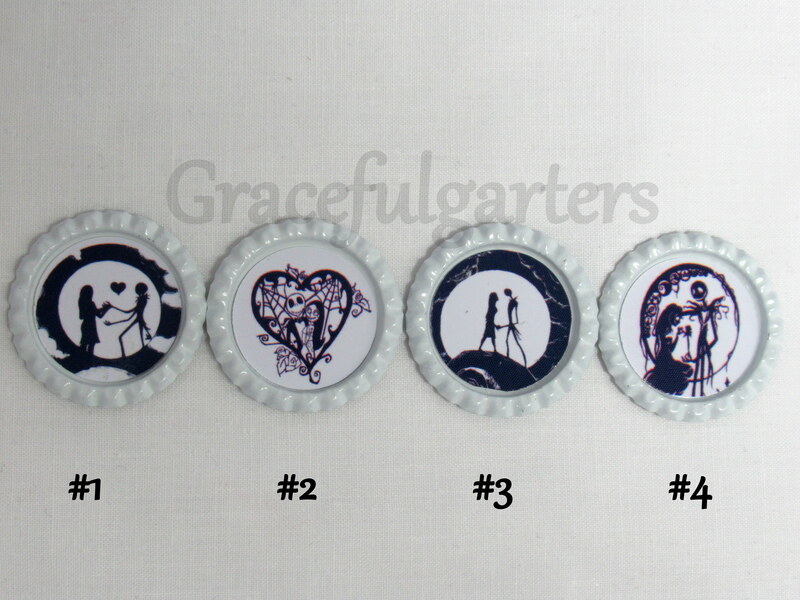 choice of 4 images. 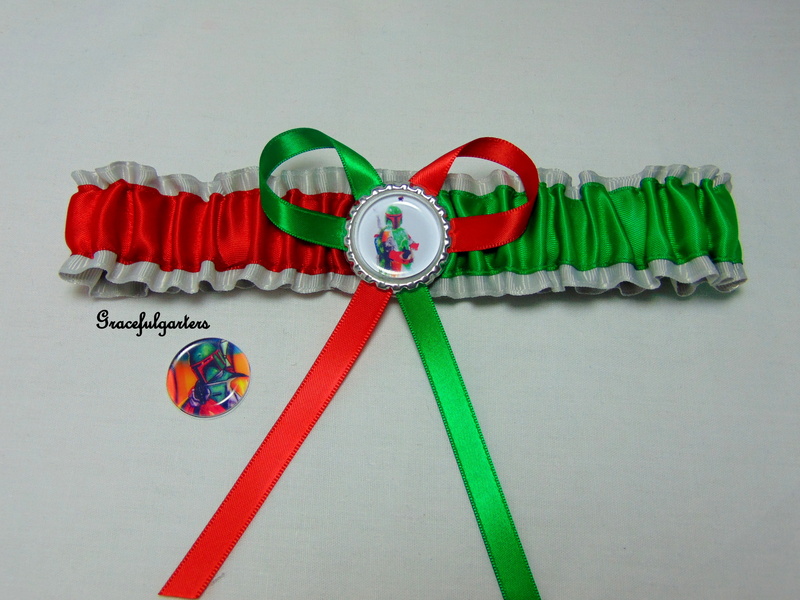 please leave a message at checkout with choice of logo otherwise logo #1 will be sent. 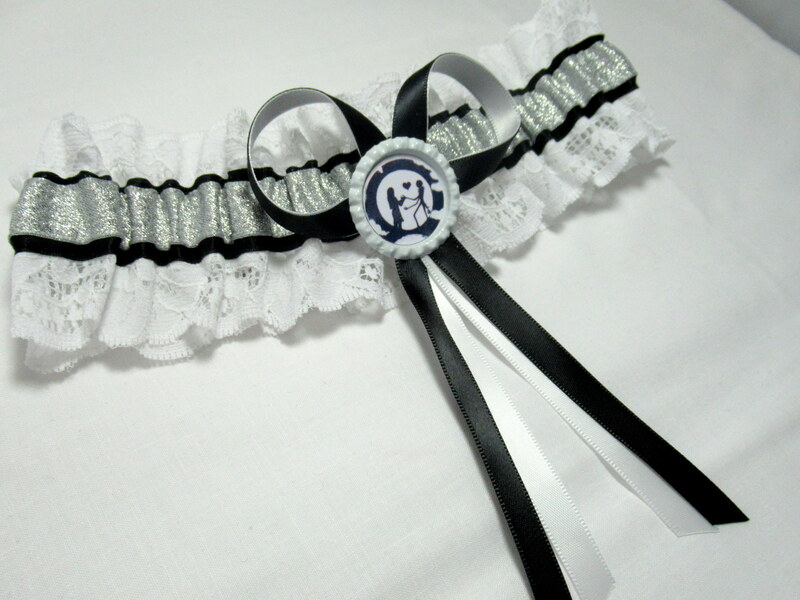 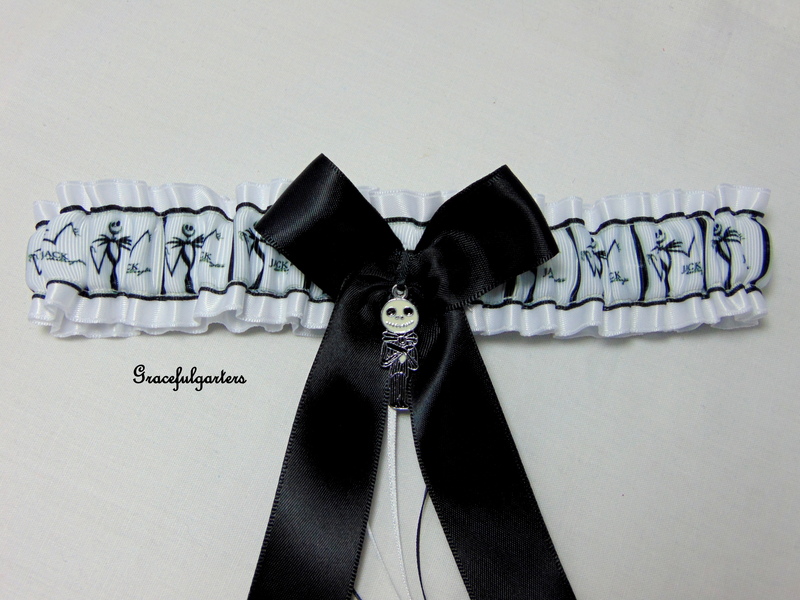 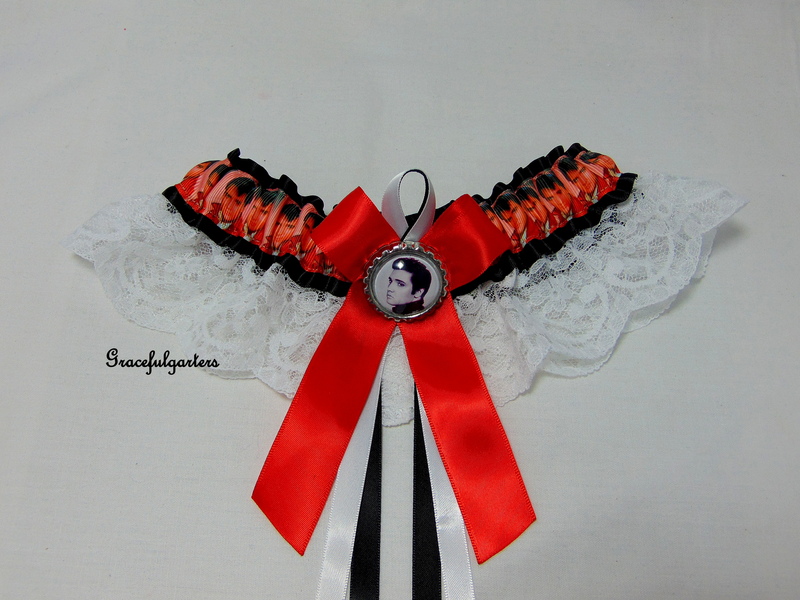 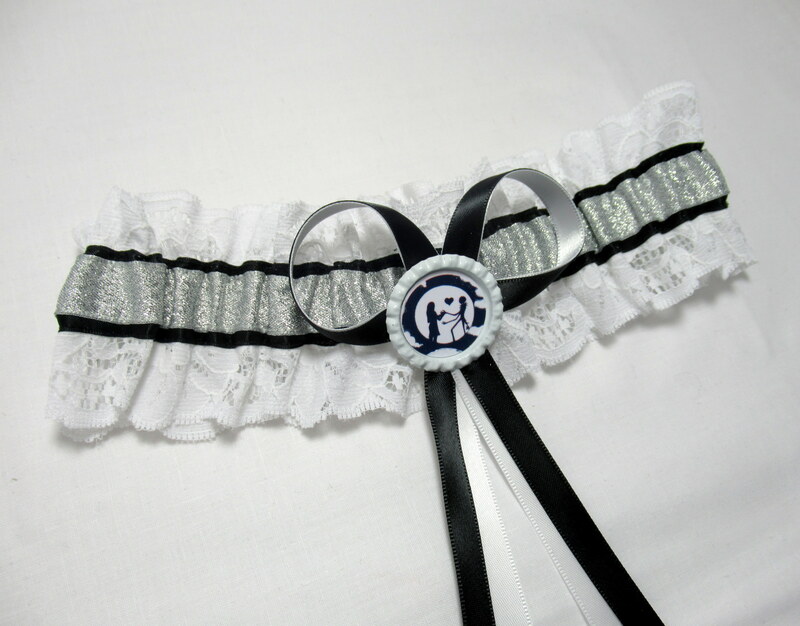 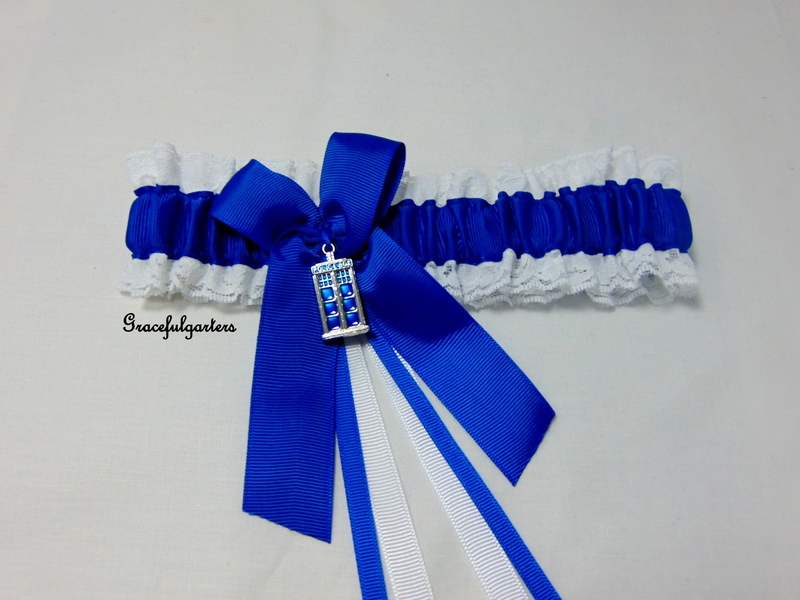 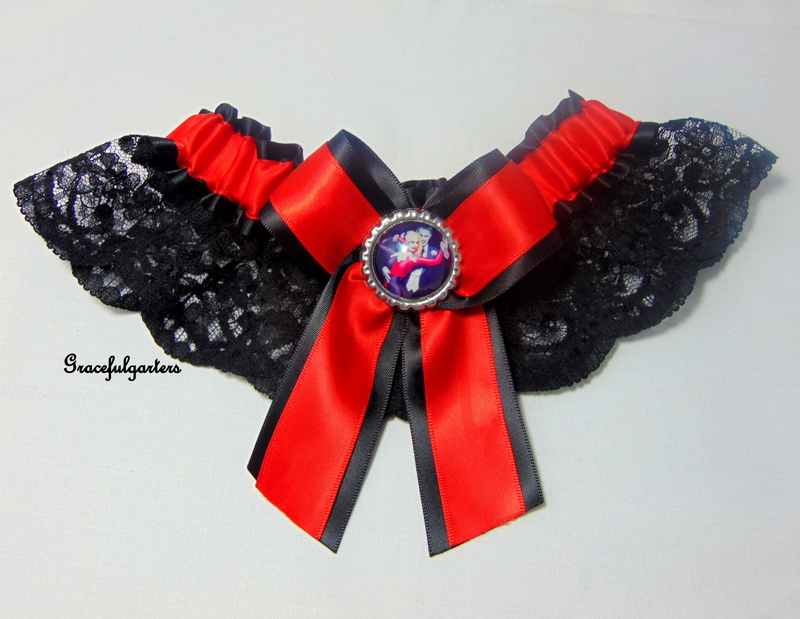 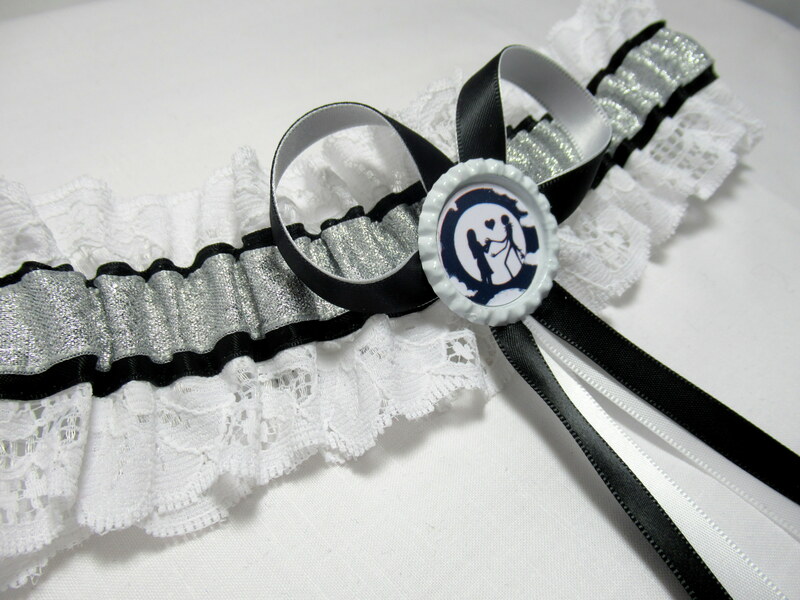 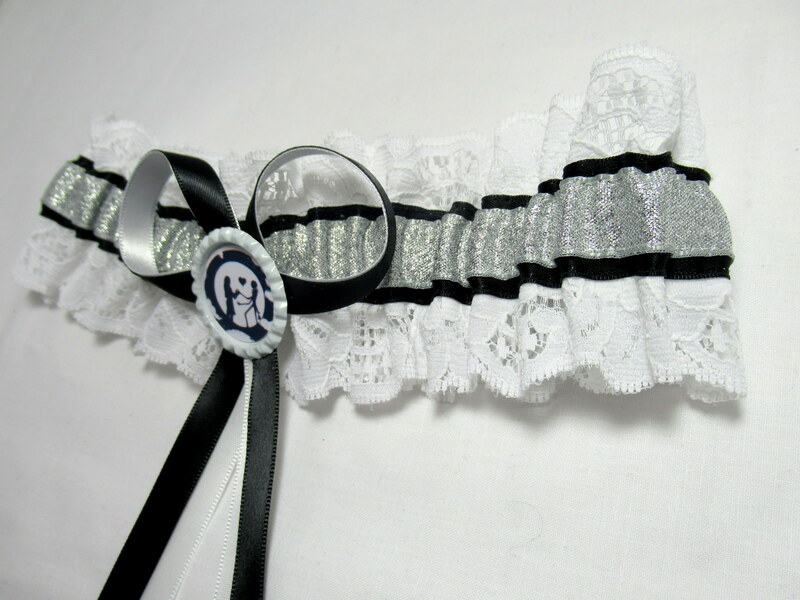 This is an exquisite handmade bridal wedding garter which is Fashioned in Beautiful white lace with black satin and silver berisford ribbon through the middle with black and white satin ribbon bow with white crown with jack and sally inside with glass top. 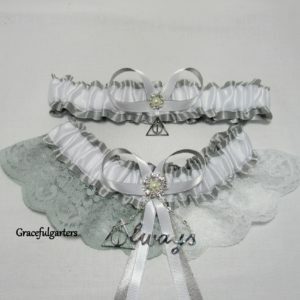 choice of 4 images. 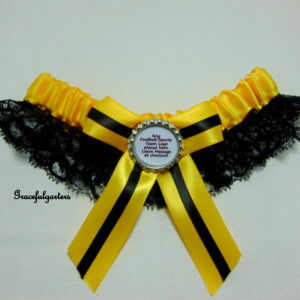 please leave a message at checkout with choice of logo otherwise logo #1 will be sent.